TPG’s acquisition of its competitor iiNet has created a telco superpower in Australia. Despite that, the two brands are still run as separate entities and their products remain unique – at least for now that is. This means Aussie customers still have a wide range of options to choose from when looking for a new home broadband or mobile phone plan. Find out which one reigns supreme below. TPG’s offerings have traditionally been focused on lower prices and value for money, whereas iiNet’s focus has been on more premium services such as the NBN, fibre to the home and fully-loaded bundles, as well as customer service and advocacy. However, with TPG’s emergence as Australia’s second largest home internet provider (behind Telstra) its image has shifted somewhat to a more ‘big brother’ provider, with prices on the whole pretty similar to those of iiNet. So how do the two brands stack up in terms of their plans for everyday customers? iiNet at face value is more expensive, but you often get 500GB as a base data amount, whereas with TPG your data allowances are as low as 50GB, which is quite low nowadays. However, in the NBN space, competition heats up a bit. On the ‘Standard Plus’ speed tier, TPG offers some of the cheapest unlimited data plans out there. iiNet’s NBN offerings are pretty exciting, with a full complement of plans, where most start at $60-odd a month for 500GB of data. While TPG’s entry price is generally lower, its starting data caps are lower as well. Another noteworthy thing is that for rural or remote customers, TPG might not even be on the agenda, as it doesn’t offer SkyMuster satellite plans. However, along the coastlines and in populated areas, both have pretty comparable plans with their fixed wireless and fibre service. TPG’s cheapest unlimited plan is $59.99 and is available with no contract, but does attract a $99.95 set-up fee. iiNet’s cheapest unlimited offering is $69.99, and is available on both a 24-month contract, or month-to-month (with a $79.95 set-up cost). As for speed tiers, Premium Evening Speed plans (NBN 100) with unlimited data are priced from $99.99 with iiNET, and from $89.99 with TPG. Both providers use VoIP services for home phone calls. It’s pretty neck-and-neck between them: iiNet charges a higher base price, but offers more data, while TPG offers call packs as standard with selected plans. If you’re still on an ADSL2+ internet connection, both TPG and iiNet are some of the more competitive big providers out there. Prices start at just $30, but this – in TPG’s case – does not include much data by today’s standards. The cheapest unlimited option comes from TPG, at $59.99 per month. iiNet’s cheapest unlimited plan is $79.99 per month, but a $59.99 500GB option is also available. However, you need to look at more than just cost alone to determine overall value. TPG’s plan, while cheaper, requires an additional home phone line, which can cost $20 in some cases. iiNet might win out here, as it includes home phone line rental with PAYG calls, and comes on a no-contract basis. If you want to do away with pesky line rental or don’t have much need for a home phone line, naked DSL is a great option for no-fuss broadband. 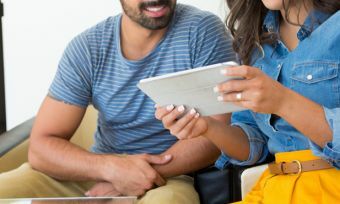 While you’ll generally pay a bit more per month as opposed to ADSL2+ plans, the convenience factor may be worth it – especially for young people or renters. TPG’s plans start at $29.99 for which you’ll get 50GB, and iiNet starts at $59.99,with 500GB of monthly data. For unlimited data, prices start at $59.99 with TPG, and $69.99 from iiNet. Another thing to consider here – especially if you’re renting – is contract length. TPG’s contract options are either 12 or 18 months, with a $59.95 set-up fee on the 12-month plan. iiNet offer no-contract or 24-month plans, with monthly options incurring a $99.95 set-up fee, and a 24-month deal charging $79.95 upfront. iiNet’s ADSL2+ plans include line rental anyway, so this option may be worth a look into if you’re looking for naked DSL. TPG’s mobile offerings are fairly simple and easy to understand. It sells four basis 4G plans, all of which come SIM-only and paid month to month on a prepaid basis. This is in contrast to iiNet’s plans, which are postpaid. You can’t really go wrong with either, but your choice may depend on whether you prefer a prepaid or postpaid connection. TPG utilises the Vodafone Network, while iiNet uses the Optus Network. One of iiNet’s big drawcards is its recent addition of iiNet TV with Fetch. In an almost identical move to Optus, iiNet has partnered with TV service Fetch to offer customers a set-top box and access to a number of entertainment services. These include pausing, recording and rewinding live TV, buying and renting movies and TV shows, and streaming from services such as Netflix and Stan. iiNet TV by Fetch is often included for $0 extra on 24-month plans, but is otherwise offered from $5 extra per month (with a $59.99 set-up fee). Optional channel packs are priced extra. TPG isn’t totally left in the dark, however, with its own IPTV service. IPTV allows you to watch selected TV channels via your internet connection (i.e. through your laptop or computer) and is included with a TPG ADSL2+ connection – you just need to sign up to get it. TPG says that sports channels are coming soon. The cheaper option is obviously TPG’s IPTV, but iiNet has a pretty compelling product for $5-$10 extra per month. Would you rather watch Hungarian news, or the NBA Playoffs? The choice is yours. TPG vs iiNet: Who Wins? The product sets of TPG and iiNet show some clear similarities, but also many differences which reflect their fundamentally different approaches to running a telecommunications business. Based on image alone – and it’s subjective – TPG appears the more ‘corporate-oriented’ of the two, whereas iiNet looks to be a bit more ‘consumer friendly’. However, what you will find is that both offer compelling internet and mobile phone plans. Both are good alternatives to the bigger guys, and it’s hard to separate the two. Apart from a few little differences, iiNet and TPG are fairly similar when it comes to pricing – and the value you get. We can, perhaps, expect to see more uniformity now that TPG has acquired iiNet, but it seems for now that both providers are set to retain their own identities. We’re rating this one a tie, as both have some strong positives – and only a few arguable negatives. In the end, it all depends on your own circumstances; you might find one is better for you than the other.